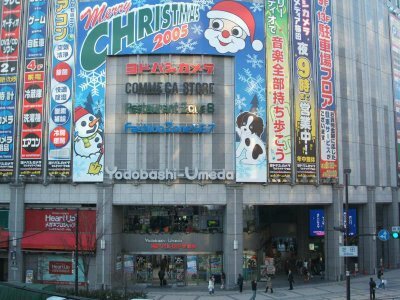 This building includes Yodobashi Camera(Electrical appliances's store) and the restaurant, etc. Yodobashi Camera is always crowded.When you buy the cellular phone, the television, the camera, and the game, etc. near Osaka Station, I think that Yodobashi Camera is good.Here is convenient also for the meeting spot.